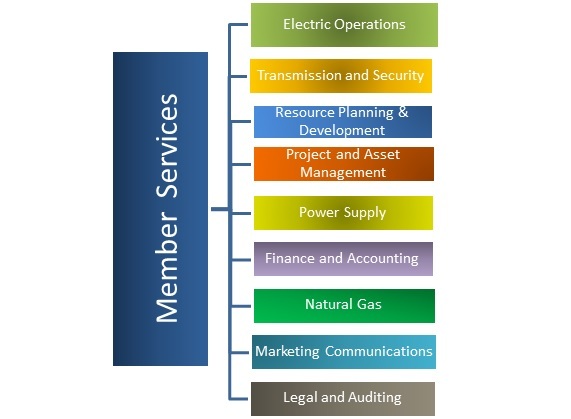 KMEA is passionately committed to the success of our members fulfilling their primary mission of providing reliable and cost effective energy to their communities. We pledge our relentless focus and dedication to providing new and innovative solutions to help our members achieve this mission. KMEA will remain steadfast in our ongoing commitment of adding value and helping our members navigate the rapidly evolving and complex industry. Our Agency will be actively engaged and responsive to our members’ short-term, intermediate, and long-term energy needs with innovative solutions. KMEA will be at the forefront of emerging industry developments that could adversely or positively impact our members, whether market driven, regulatory or technological. KMEA will be agile, as member needs and market trends dictate, and every employee will bring their drive and expertise to maximize the value we provide our members. We will maintain a member-centric approach; one of continuous improvement, so that we remain the energy solution provider of choice.